Roller Derby Gear Rack* is designed to maximize board storage, be strong, yet be able to flat ship to save on costs. 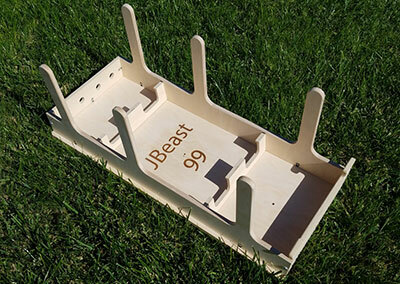 A sturdy, clean, sleek roller derby rack made from FSC certified wood. * Roller Derby Gear Rack design provided under Creative Commons Attribution – ShareAlike 4.0 International License, courtesy of Obrary.